The Sunny Days Skirt is quite versatile. 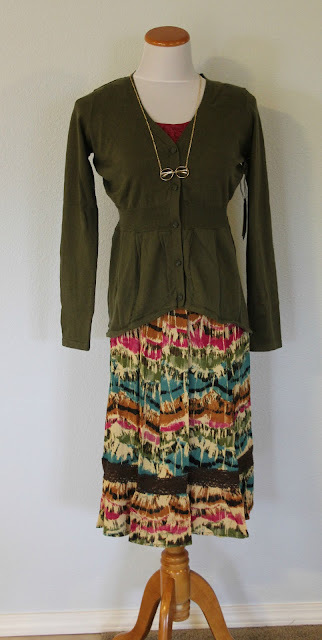 It is light cotton and great for warm days, but styled here with the Portfolio Cardi and the Embellished Shell, it shows it can transition to fall. Throw on some Plush fleece-lined tights, and you'll be cozy all winter as well. Also pictured, the Reading Glasses necklace.